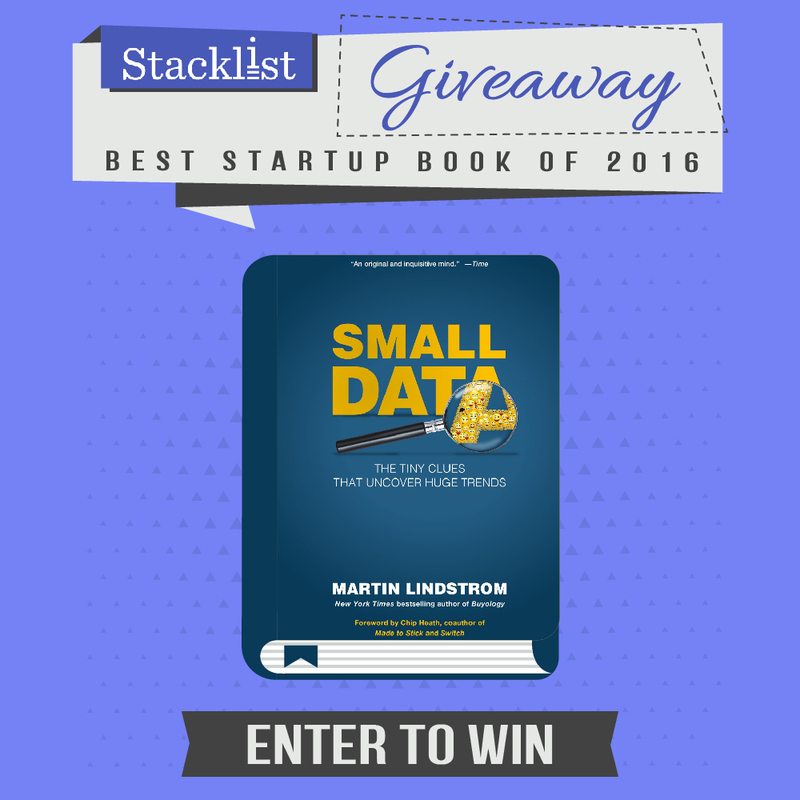 We’ve recommended Small Data: The Tiny Clues That Uncover Huge Trends by Martin Lindstrom in our Best Books of 2016 for Entrepreneurs. This is an important read for entrepreneurs; in this era of big data, Lindstrom makes an elegant case for the importance of small data. Lego recently announced a giant jump in revenue with more than $2 billion in sales, finally surpassing Mattel to become the world’s largest toy maker. But 12 years ago, Lego’s sales were in decline year over year. In effort to reverse the trend and stay current in the world’s toy market, Lego was making bigger bricks after looking at big data that showed people enjoy instant gratification. Bigger bricks would mean bigger projects getting done more quickly. But that wasn’t the case, and Lego was still facing diminishing sales.By visiting the home an 11-year-old boy, they learned that his most prized possession was a pair of beat up shoes in his room that showed he was the best skater in the neighborhood. Realizing that their customers value the social currency that comes from mastering a certain skill, Lego went back to their original sized blocks and started developing more labor-intensive construction challenges by launching sets with more detailed instruction manuals and tinier, more detailed blocks. Ten years later, Lego is more popular than ever with recent successes like The Lego Movie and their video game franchise. Small Data will help you find and notice these trends among your customers that would be impossible to glean from big data. Small Data Explanation – in this video, Lindstrom explains “small data” and what you can learn in his book. Why We Must Embrace “Small Data” – Lindstrom gives a TEDx talk, explaining more about how small data are often the real motivators behind trends. Small Data, Big Impact! – In this interview with The Marketing Journal, Lindstrom explains how to find small data and more of his professional insights on branding and marketing.